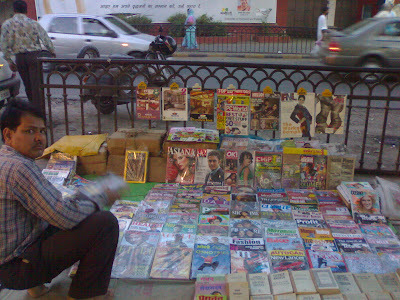 The Book-Magazine vendor who offers the treasures of the literati world on bargain prices. The assortment of books, magazines and second hand materials this man has in store can put book-shops to shame. Next time you are in Delhi hunt for these bargain book/magazine selling vendors that set stalls on the roadside.